Oracle VM Manager is required to manage one or more Oracle VM Server. This tutorial, explains high-level steps on how to install and configure Oracle VM Manager. In this example, I’ve used the current stable version of OVM 3.2.2. But, the steps are pretty similar for other OVM versions. Instead of doing this manually one-by-one, you can simply execute the createOracle.sh shell script that comes with the Oracle VM Manager Installation CD, which will automatically take care of the above pre-reqs as shown below. In my case, since this was a test machine, I had some other issues connecting to the Oracle VM Server, because of some existing firewall rules. I temporarily disabled those to make sure I get the basics working, before I can debug the firewall rules and fix the issue. If you like to do the same, stop the iptables and ip6tables as shown below. Next, from the Oracle VM Manager Installation CD, execute the runInstaller.sh which is a text based installation utility, which will ask you few questions before it installs OVM. First, select the installation type. Choose “Simple”. You might get the following warning message about the required memory (Which is 8GB). In my example, I had only 4GB RAM, I ignored the warning message, and everything worked as expected without any issues. So, 4GB memory is good enough to get this working. This will also prompt you for the password that you’ll be using for all the installations. This password will be used for Oracle VM Manager, database settings, and weblogic servers. So, don’t forget his password. Later if you like you can go-ahead and change all these password to different ones. But, during installation you have to specify one common password for all these components. Final confirmation before it starts the installation. Select “Continue”. There are total of 9 steps performed by the OVM Manager installation as shown below. This will take some time. Just wait for this to finish. Please wait while WebLogic configures the applications... This can take up to 5 minutes. Finally, after the installation, you’ll get the following Installation summary screen. Now, to verify the installation, login to the OVM Manager GUI as shown below. The username is admin and the password is the one you specified in the above installation steps. After the installation, delete the cat /tmp/ovm_config* file, which was created by the installater, which might contain some sensitive information. Install log files as under /tmp as shown below. As part of the OVM Manager installation, the following components are installed in the location specified below. Oracle VM Manager service is called ovmm. Use the service command to check the status, or stop, or start the service as shown below. 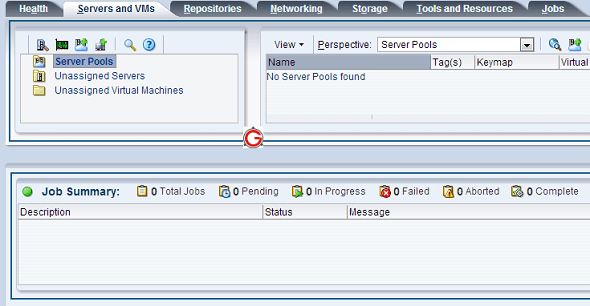 Unable to ping hostname 'ovm-manager'. Solution: Make sure to add the ovm-manager to the /etc/hosts file on the server as shown below, and try the installation again. Stay tuned! We’ll be posted more articles on OVM on an on-going basis. If you have any specific questions about OVM, leave a comment below. I am getting the below error message while installing the Oracle Vm Manager.Its coming exactly while installing the oracle Weblogic server STEP 4. Go ogling is not giving exact answer for this.Can you help me on this.